Supreme Court yesterday observed that the working system of Advocates on Record Institution have been spoiled by a very few members in it. In a special leave petition filed by Sanjay Kumar Bench consisting of J. Dr. B.S. Chauhan, J. Chelameswar and J. M.Y. Eqbal observed that in fact, a very few AOR have spoiled the working system of the institution of AOR who simply lend their signatures for petty amount. 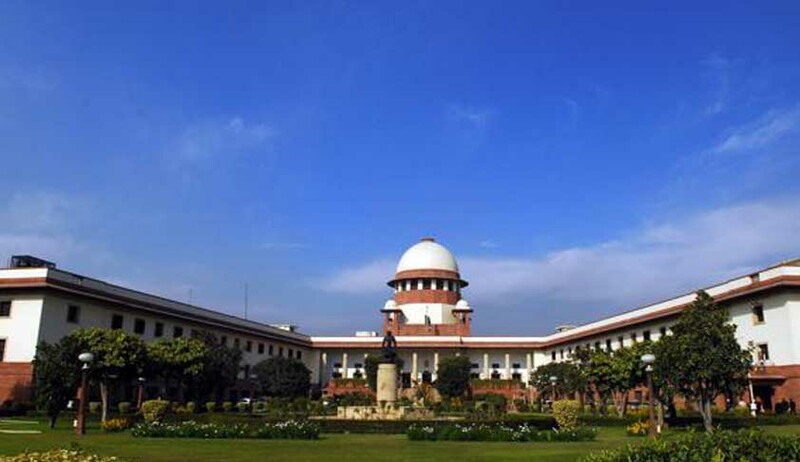 Relying on its own judgment in In Re: Rameshwar Prasad Goyal, wherein the Supreme Court has categorically held that in case the AOR does not appear in the court, his conduct may tantamount to criminal contempt of the court. An AOR is the source of lawful recognition through whom the litigant is represented and therefore, he cannot deviate from the norms prescribed under the Rules. He is a seeker of justice for the citizens of the country. Therefore, he cannot avoid court or be casual in operating and his presence in the court is necessary. There are times when pleadings and records have to be explained and thus, he has to do a far more serious job and cannot claim that his role is merely a formal one or his responsibilities simply optional. An AOR is accountable and responsible for whatever is written and pleaded by putting his appearance to maintain solemnity of records of the court. Court observed in In Re: Rameshwar Prasad Goyal. Supreme Court has warned AOR, Shri Manu Shanker Mishra to behave in an appropriate manner befitting the conduct of an advocate and an AOR otherwise this Court will not hesitate to take action against him. The petitioner approached Supreme Court against the Respondent for running a fake institution, and offered the appointment to the petitioner on certain terms and in spite of working therein, not paying the salary. The counsel appearing in the court for the petitioner designated himself merely has a proxy counsel. Court further noted that the Advocate- on-record had no courtesy to send, at least, a slip mentioning the name of the counsel who has to appear in the court. Court had insisted AOR, Shri Manu Shanker Mishra to remain present in the Court at the time of first round of hearing of this case. In the second round but it was refused. Court took a serious note on the conduct of AOR and warned that he will be under close watch. The AOR, with impunity was disdainful towards the order of this Court directing him to appear in the court. He had also not filed any appearance for the counsel who had appeared, nor the said counsel disclosed his name. The Court takes serious note of the conduct of the AOR, Shri Manu Shanker Mishra and warns him to behave in an appropriate manner befitting the conduct of an advocate and an AOR otherwise this Court will not hesitate to take action against him. His conduct will be under close watch of this Court; Court said. There is no doubt that the strong words and the action initiated by the Supreme Court against an erring AOR are necessary not only as a mark of censure, but also as a deterrent; Says Gopal Sankaranarayanan, a practicing non-AOR at the Supreme Court of India.